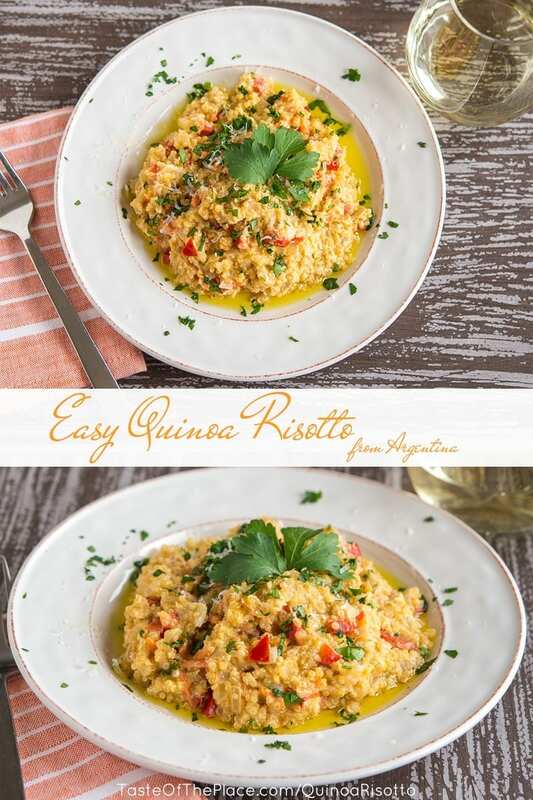 Quick, easy, creamy, and dreamy – this quinoa risotto from Argentina comes together in a snap. 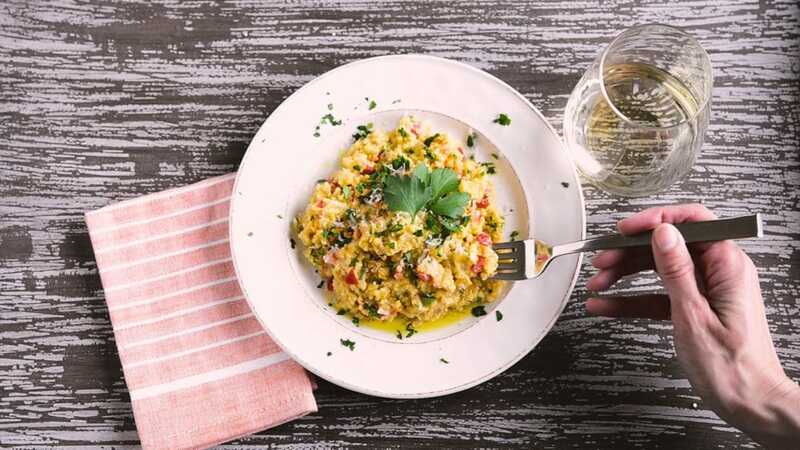 It’s lighter than a traditional risotto, but loaded with flavor and super satisfying – perfect for an easy weeknight meal! Risotto is one of my favorite go-to weeknight meals! Just a few items from the pantry will make the most simple versions, or use it as a catch-all for leftovers or veggies that need to be used up. 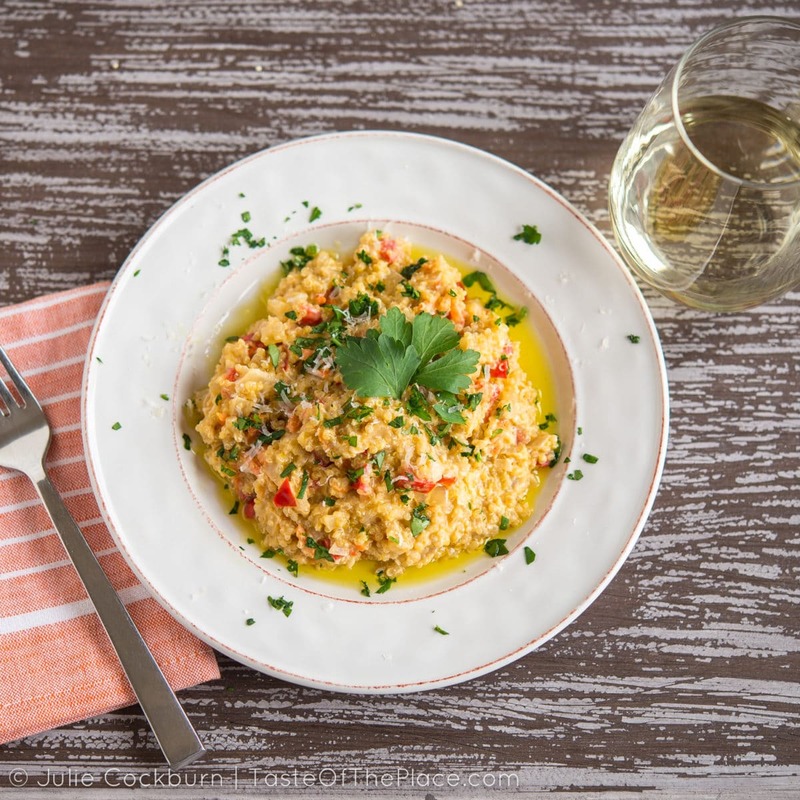 This version of risotto is made with quinoa, making it lighter than traditional rice based risottos. The recipe comes from my friend, Chef María Elena Ledesma at Facebook.com/NaturaliaMariaElena, who hails from from Catamarca, Argentina, and happens to be one of the recipes in my upcoming cookbook. 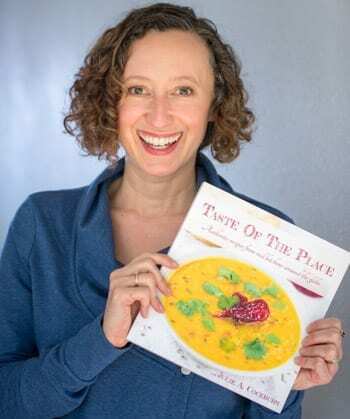 I can’t wait for you to get your hands on a copy – it’s going to be so yummy! The video starts with a base of onions and garlic, followed by the tasty and colorful additions of carrots and bell peppers. In the recipe below, María Elena has also suggests adding mushrooms. The beauty of risotto is you can add whatever you have on hand. Go crazy and add whatever seasonal veggies, cooked meats, or tasty goodies your heart desires! PS – look for this recipe, along with a delicious selection of other Argentine recipes in the upcoming cookbook. 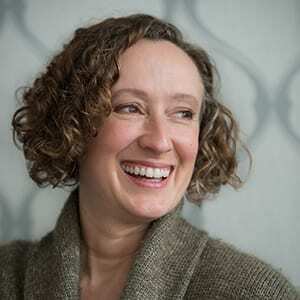 Fingers crossed it will come out later this year! In this dish for quinoa risotto, I’ve updated an ancient, traditional grain from the area, quinoa, with new flavors and cooking techniques to create a creamy and satisfying side dish. Rinse the quinoa very well, until the water runs clear, drain and set aside. Heat the butter, along with a glug of olive oil, in a large skillet or dutch oven over medium heat until the bubbling of the butter begins to subside. Stir in the onion, garlic, carrot, bell pepper, and a pinch of salt and freshly ground black pepper. Cook, stirring occasionally, until the veggies begin to soften and the onions turn translucent. Stir in the rinsed quinoa, along with the white wine, and cook, stirring constantly, until the alcohol has evaporated. Stir in the sliced mushrooms, along with just enough vegetable broth to cover everything. Cook, stirring very frequently, until most of the broth is absorbed. Continue cooking and stirring frequently, adding the remaining broth one ladleful at a time, until the quinoa is cooked through. Wait until the liquid is almost completely absorbed before adding the next ladleful. You’ll know the quinoa is cooked when the grains begin to look like little bullseyes, and start to unfurl. You can also take a bite to test for tenderness - it should be al dente, tender yet firm. Note: you might not need to use all the veggie broth. When the quinoa is cooked through, remove from the heat, and stir in the parmesan and cream cheese. Season with additional salt and pepper if desired. The quinoa risotto should be creamy and deliciously oozy. If it is too thick or dry, stir in a bit more veggie broth or hot water. Sprinkle chopped parsley over top and enjoy hot!